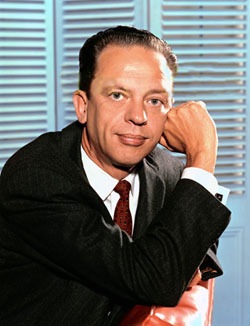 Today when I heard Don Knotts had passed away I could only think about how much laughter and joy he gave me over the years. I don't think he was appreciated enough for his talent. Sometimes it comes posthumously. Here's hoping it now comes here in waves. Knotts, who lived in West Los Angeles, died Friday night of lung cancer at Cedars Sinai Medical Center.